When asked to describe himself, Kevin immediately said adventurous. He offered, “I’m so adventurous, I scare myself at times. I can't stay in one spot, and I have to keep moving!” Kevin also described himself as being eager and determined. Kevin’s journey began in Texas where he was diagnosed with schizophrenia. After not finding employment for nearly 8 years, he headed to the Greyhound Station with $60.00. He wanted to go to Washington DC, but he ended up in Charlotte, NC. He stayed in a shelter in Charlotte while attempting to obtain benefits. His family sent him money to return to Texas, but he used it to go to DC. After staying for one month in DC, he set out on foot for Richmond, VA. As he lost his ID, he was unable to purchase a bus ticket to return to Texas. Eventually, he ended up hospitalized in Richmond. After being discharged from the hospital, he left Virginia with the goal of getting to California. Kevin's journey from Virgina to California, mostly by foot, had him sleeping in the streets and staying in shelters. Despite several hospitalizations and incacerations, he evenutally made it to Califonria. Eventually, Kevin's journey brought him to Ohio. He was hospitalized at the state hospital. From there, he was connected with Community Support Services. Following his discharge from the state hospital, he was admitted to one of the agency's residential treatment facilities, Reymann House. After successfully completing Reymann House, he moved to the Commons at Madaline Park. As a client of Community Support Services, he has participated in group programming including the Cogntivie Enhanacement Therapy (CET) program. Currently, he has secured employment and has a stable place to live. Kevin stated, "I’ve got a roof over my head, and I feel more independent living here at the Commons.” He explained he likes being with his family, but being able to have his independence helps him feel more relaxed. He added, "I've accomplished about 95% of my goals." When asked if he misses traveling, Kevin stated, "I miss seeing new things and meeting new people, but I like it here." 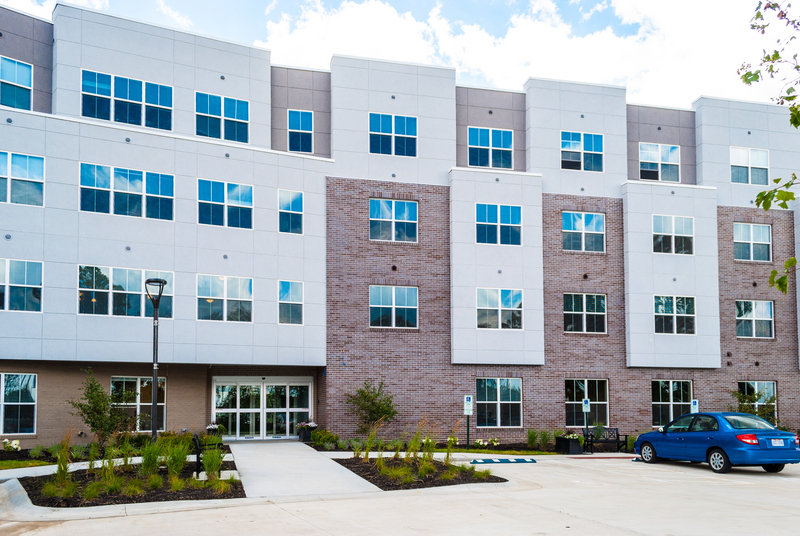 The Commons at Madaline Park is a 120 unit Supportive Housing program. Fore more information - http://www.cssbh.org/commons-madaline-park.